After three and a half months in Romania, you will leave feeling like you saw, experienced and came to love Romania’s most beautiful and important historical sites. Our semester focuses on local excursions so you leave with a deep and rich understanding of Romania's people and culture. Together we will explore north, south, east and west. 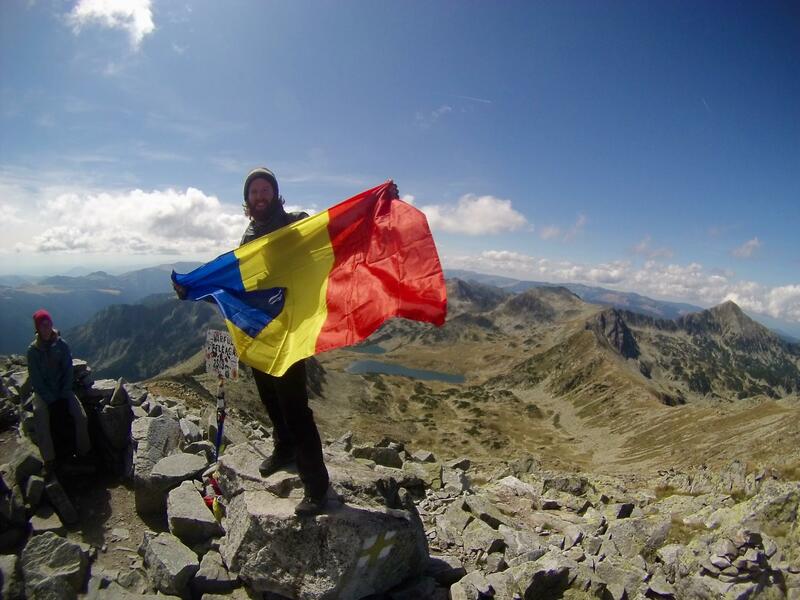 During our week long mid-term break you can explore more of Romania and beyond! Previous students have travelled low-budget and with ease to Italy, Greece, Hungary, France, Croatia, England, Ireland and many other places! While studying here you will see the following castles, historical sites, and incredible landscapes. You will also witness the division between the natural beauty of Romania and the struggle to overcome the destruction that communism left behind. This 5-6 day backpacking trip is a part of our experiential education class and is an incredible journey through one of Europe’s most beautiful mountain ranges. Whether you are an experienced hiker or just a beginner, this trip has elements for all levels and is a meaningful time of personal and group growth. Wild horses, herds of goats, sheep and donkeys, the occasional marmot – you will see all these as you hike along a number of trails in the park. There are a few species of flowers which are only found in this park, and the landscape can change drastically from ridge to ridge. The National Park is just 30 km away from our headquarters in Lupeni, and was the first national park created in Romania. 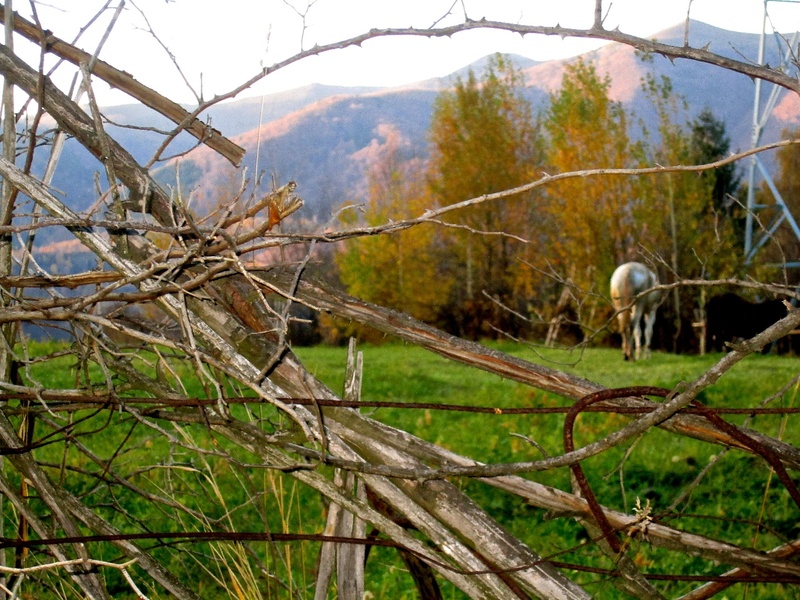 Each fall, we spend several days exploring the region of Maramureș in northern Romania. Sighet is a quaint, small, country-side town which borders Ukraine. In this area, people still use traditional Romanian clothing and many live off their land with no other source of income or employment. We stay in traditional Sighet fashion log cabins with fresh cheese and eggs each morning in the village of Breb, near Sighet. We also visit the bustling college city of Cluj-Napoca, the Youth Capital of Europe in 2015. Cluj is the third largest city in Romania and is a crucial academic, cultural, industrial and business center for its country. The energy and vibe of this city are contagious and it is a city famous for its international film and music festivals, complete with breathtaking boulevards, baroque architecture, bohemian cafe society, and back streets animated with cute boutiques and subterranean bars. While in Cluj, we attend lectures about current Romanian events at the University of Babes-Bolyai with world-renown professors in the political science department. 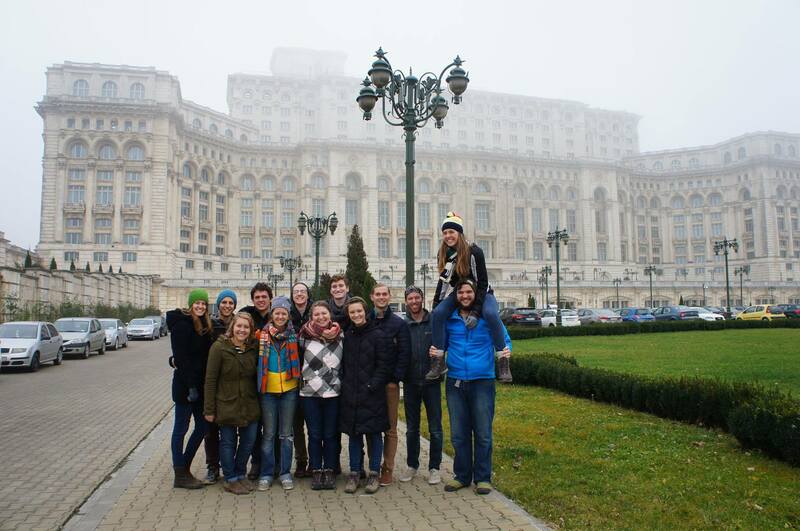 We traditionally end our semester program with a trip to the capital city of Romania. We visit historical sites such as The Palace of Parliament and the last dictator Ceaușescu’s Palace, as well as exploring the Old Town district and eating at such famous restaurants as Caru Cu Bere. It was nicknamed “Little Paris” in the early 20th century, and visitors can see many French influences in its architecture. Decades of communism and a violent revolution left the city with many scars but today it is a vibrant and busy city with many museums and festivals. The incredibly large and fairy-tale-like Corvin Castle was built in 1446 in a Renaissance-Gothic style. 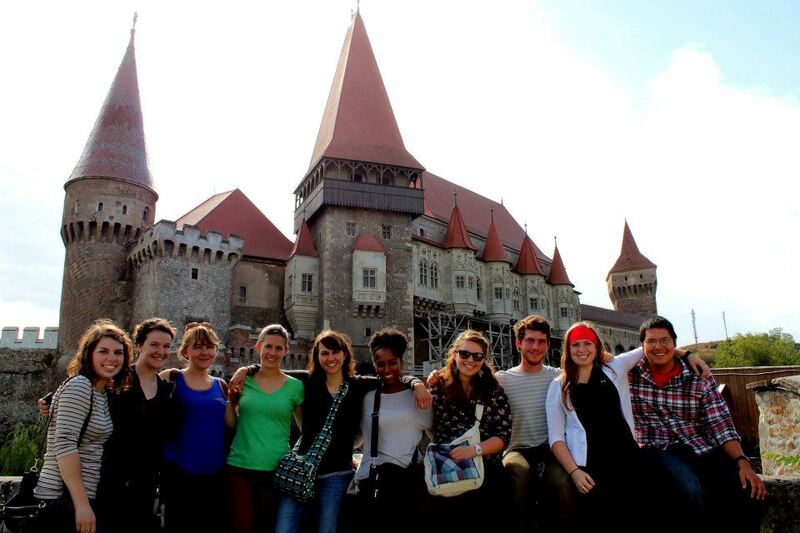 Corvin Castle was originally constructed and owned by the Hungarian king who had Turkish slaves build it. Legend has it that Vlad the Impaler, the character who inspired Bram Stoker to create Dracula, was held prisoner in this very castle. It is not only one of the seven Romanian wonders but also one of the largest castles in all of Europe. 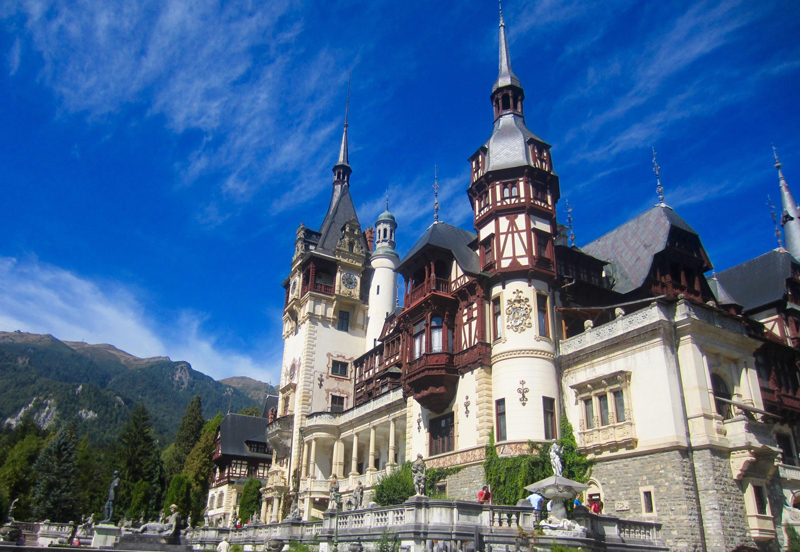 Nestled in the Carpathian mountain range the Peles Castle is a Neo-Renaissance castle expansively furnished and one of the most visually stunning castles in all of Europe. It was once the summer palace of the Romanian royalty. 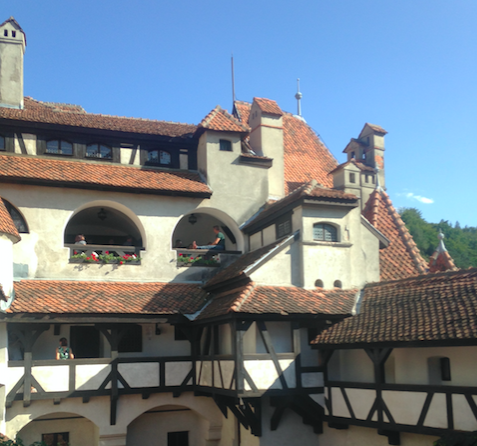 Bran Castle – Dracula's Castle! Bran Castle is known as the famous Dracula’s castle after Bram Stoker’s novel Dracula. It was converted in the early 20th century to be the private home of Queen Maria, and was later converted into the museum you can explore today. The horror stories of Dracula melt away when you walk through the halls and feel it’s cozy spirit. It is located high on a hill, above a market of street vendors where you might see Dracula walking and stopping to take pictures with those who are brave enough. 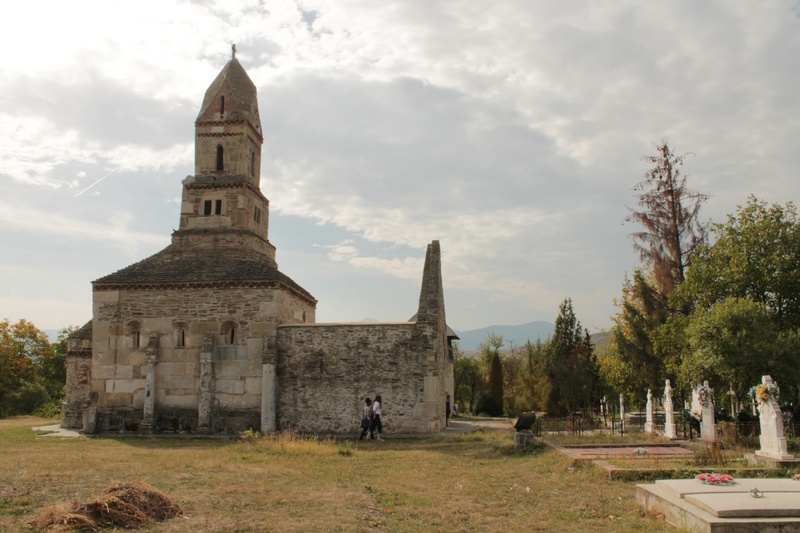 Densuș Church was built during the time of the Roman Empire and is the oldest church in Romania that still holds weekly services. The church is unique in that it holds a painted depiction of the baby Jesus wearing traditional Romanian clothing. Furthermore, this site is a testament to the reform crusades when reformers went through churches destroying the faces of the painted icons. It's architecture is like that of no other church in Romania and is a mixture of themes from varying centuries. Stones from nearby Roman ruins have made their way into the building over the centuries. There are two sites called Sarmizegetusa within about an hour’s drive of each other. One is a unique and extensive archeological site of ancient Roman ruins. The other is the ancient provincial capital of Dacia in this area. You will see colosseum, religious buildings, dwellings, public monuments, tombs, and other various forms of ruins at both sites. 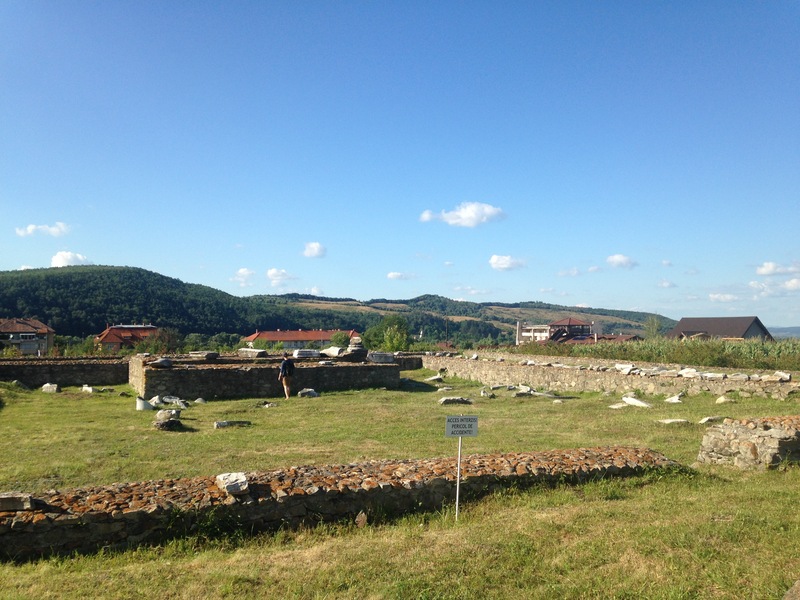 Visiting either of these sites gives a great understanding of the ancient Dacian people and the Roman conquest of their lands in the first few centuries AD. These two people groups intermarried and are the ancestors of the modern Romanian people. 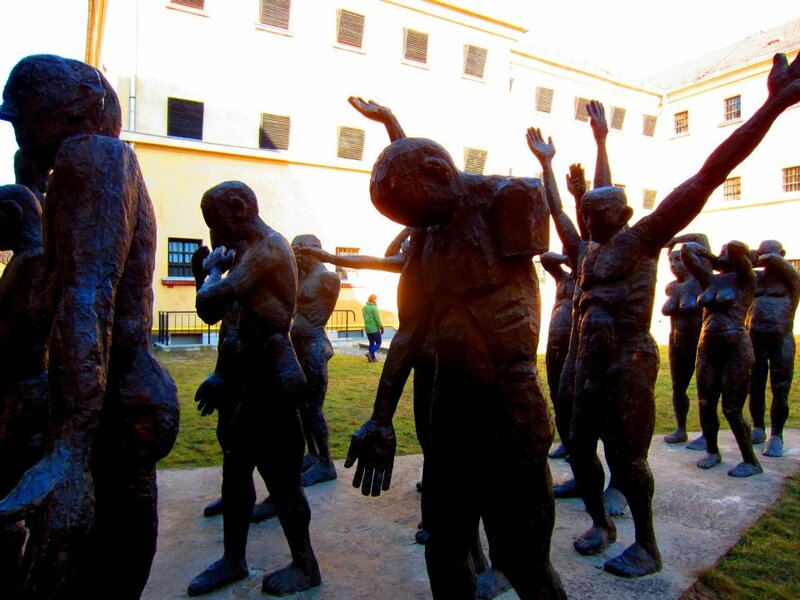 A former communist prison in Sighet, this is a museum and memorial for the victims of the communist regime in Romania. 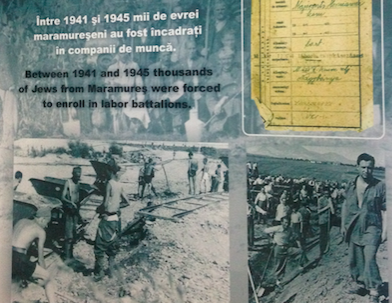 Each cell and room in the prison has its own theme about those who died in the prison and different forms of protest by Romanians against the communists. The Barsana Monastery in Maramureș, Romania is one of the most unique places in Europe. Some of the tallest wooden structures in Europe are here, built upon a hill overlooking a valley. 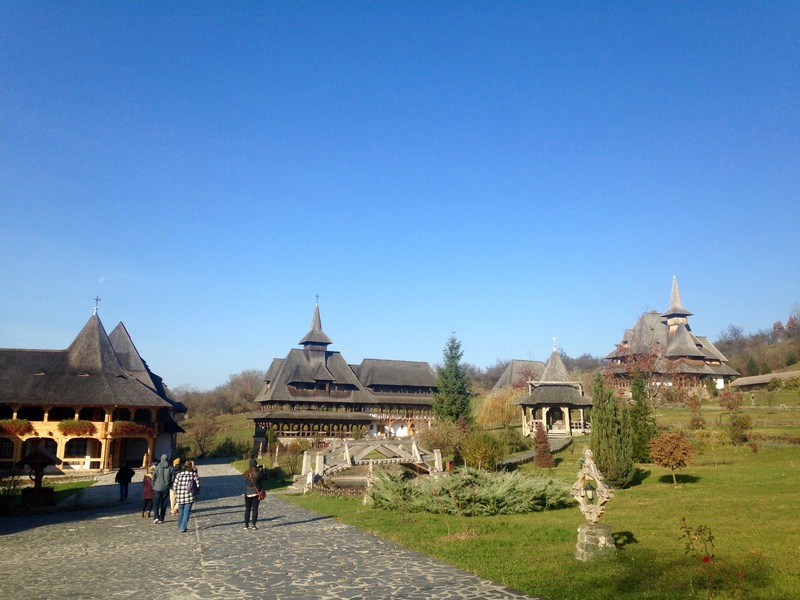 Wood is an extremely important commodity in the Maramureș area which provides for an area seeped in culture that has existed and remained relatively the same for centuries. On Sundays you will see worshipers attending in traditional Romanian clothing depicting a life that has changed little over the years. Built upon a church abandoned in the 1790’s after the Communism period, the church is magnificent. No nails were used in the construction of the church or of its 180ft spire. The site is protected by the UNESCO (United Nations Educational, Scientific, and Cultural Organization) and is a World Heritage Site. The area is one of the best examples of a living museum to be found in Europe. Elie Weisel was a Holocaust survivor and Nobel Peace Prize Laureate. He authored many books, including the book “Night,” which recorded his time in the concentration camp at Auschwitz and Buchenwald. 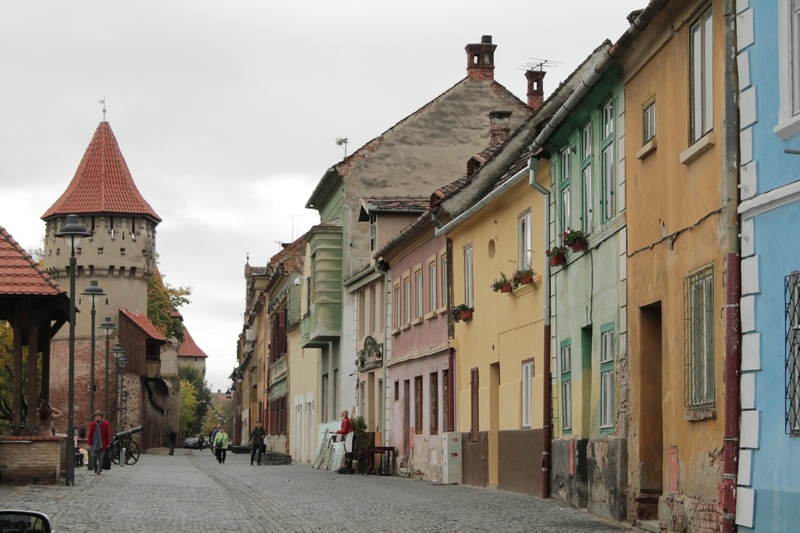 His childhood home is now a museum about his life and about the life of Romanian Jews in the village of Sighet. On December 1, Romania’s National Day, we will take a trip to the Alba Iulia fortress to view a massive military parade and take part in the festivities which celebrate the unity of different regions of Romania into one unified nation. We will celebrate along-side Romanians their countries history and accomplishments. From there we travel to the picturesque and lively city of Sibiu to see a concert in celebration of the holiday and explore their legendary Christmas market.